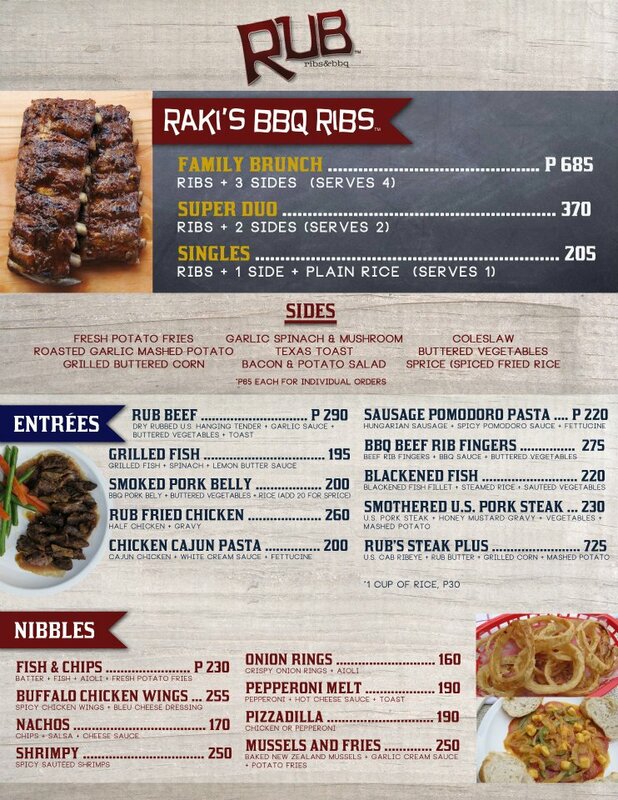 There are a lot of restaurants in Tomas Morato but one of my most favorite is the one along Scout Rallos, RUB Ribs & Bbq. 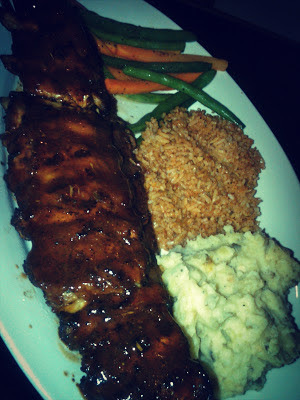 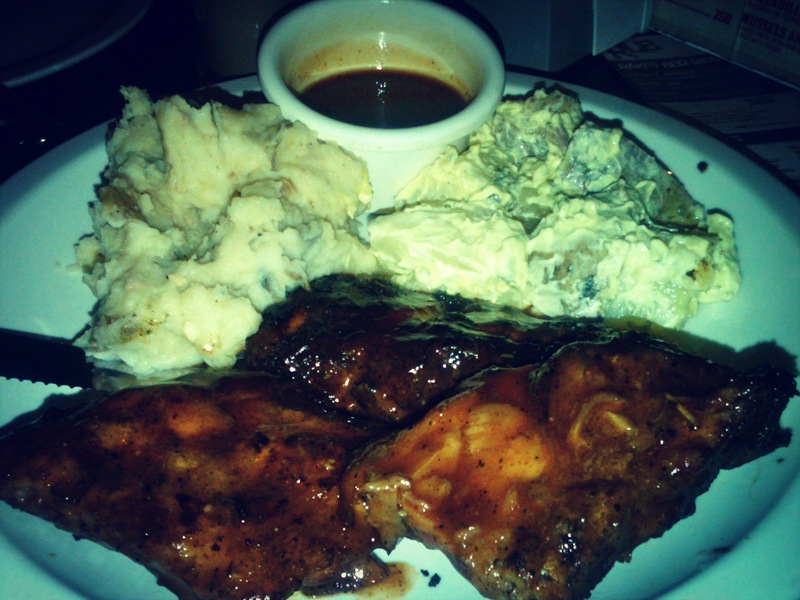 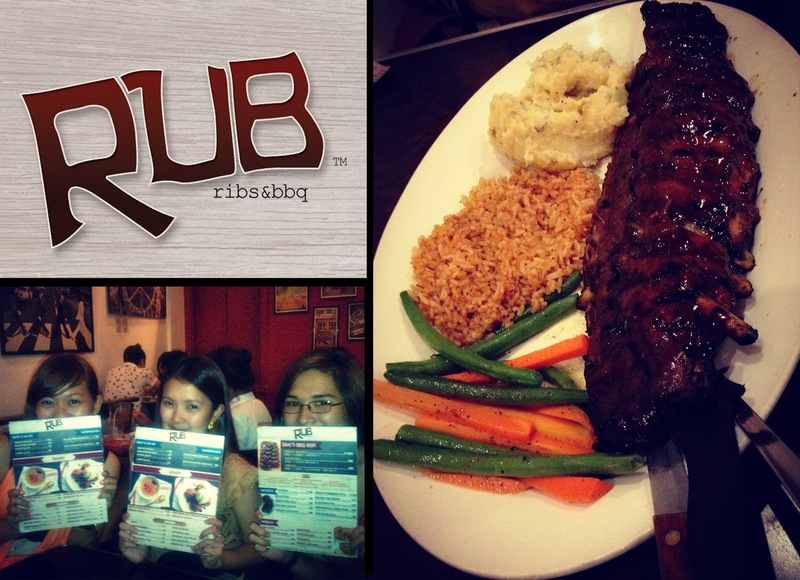 Rub Ribs & Bbq is a small homey restaurant that serves one of the best tasting and affordable ribs. 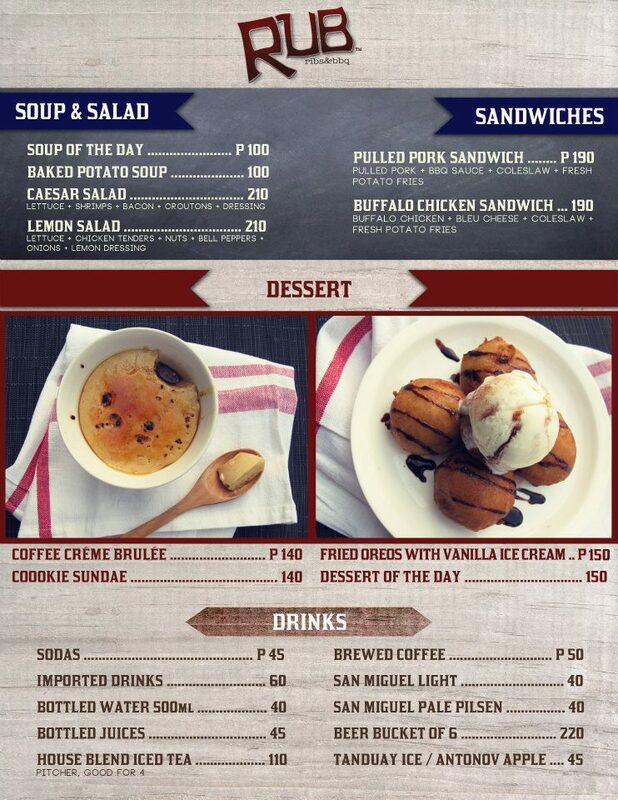 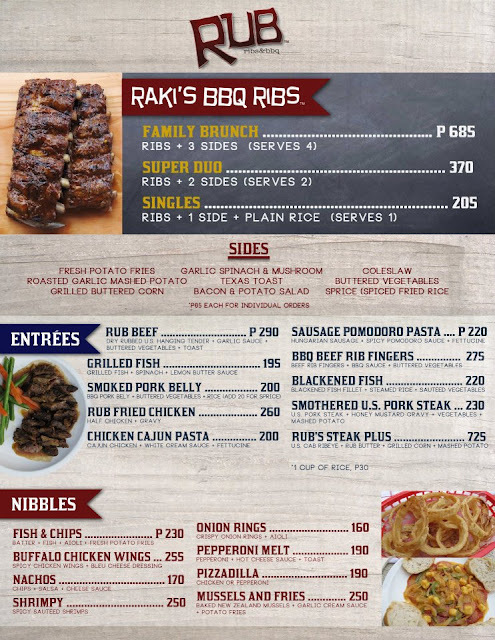 One of the reasons why Rub decided to serve ribs to customers is because it’s not the common type of food served in the market, they want to give the customers something that they would often crave – comfort food that is affordable and delectable at the same time. 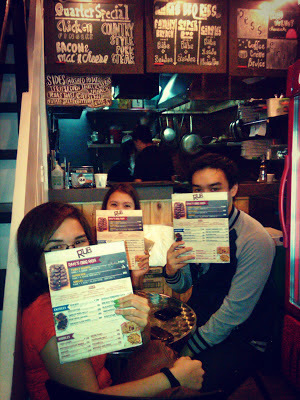 Rub opened it's first branch in Scout Rallos last March 2011. 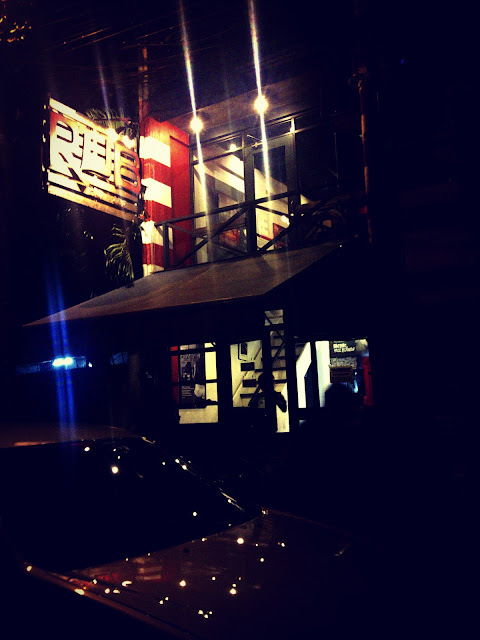 I witness their growth, I first came to this place last year, it was still new so only a few customers were there. 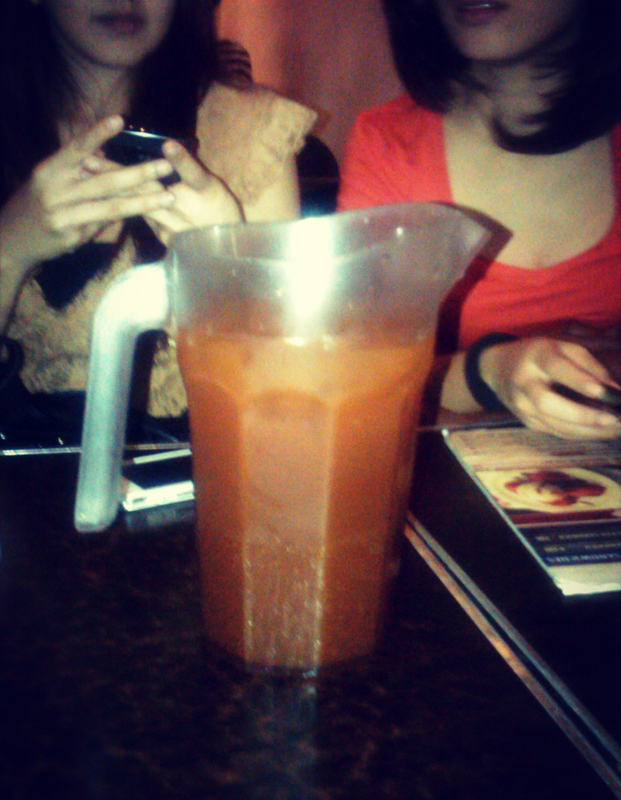 But because of the word-of-mouth on the food they serve it became really famous to the people in QC. 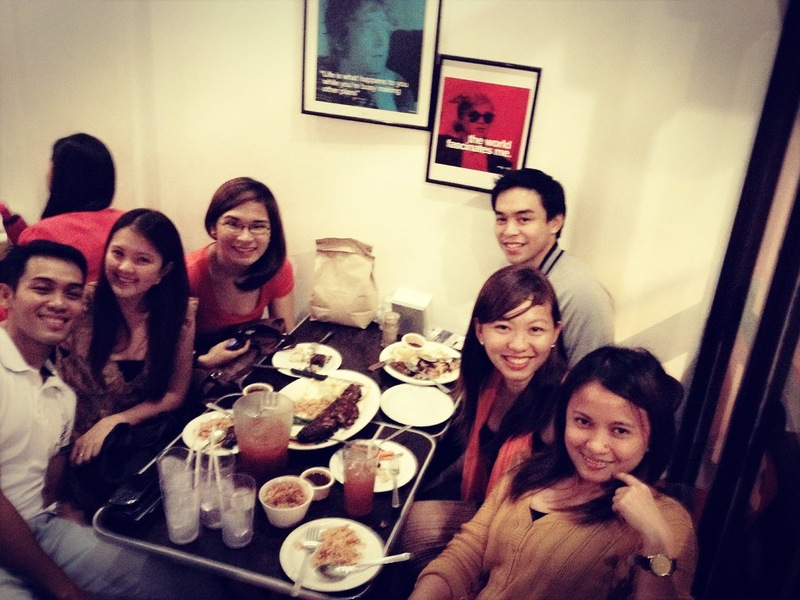 It's second branch opened in Kapitolyo last October 2011. 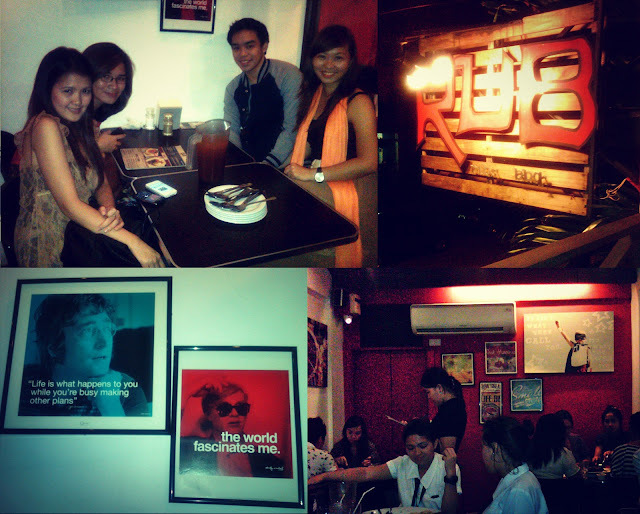 The place is tiny with lots of framed photos of famous people with their quote written on their picture. Girls Plate- 1 order of Family Brunch P685- Ribs that serves 4 + 3 Sides. 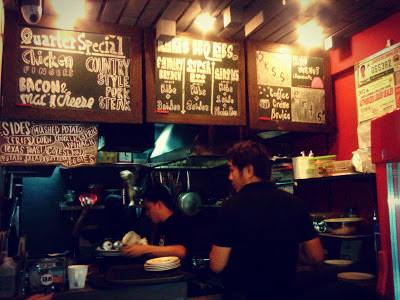 For the sidings we ordered Sprice (Spiced Fried Rice- not spicy), buttered veggies & roasted garlic mashed potato. Aside from ribs, other specialties are the rub beef, grilled fish, fish and chips and buffalo chicken wings.